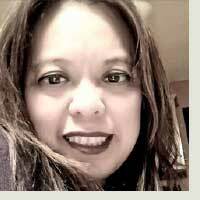 Profession and Background: Janette was born and raised in the Philippines. A “Manilenia” who grew up in the suburb of San Pedro, Laguna, Janette is a Nephrology Nurse by profession in the State of New Jersey and currently holds a Nurse Manager position at DCI, Dialysis Center Incorporation. Janette also holds a title as one of the Transplant Designee for organ donation and transplantation. She adds “as we value human life, we must also value the need for organ donation.” Janette’s mother is currently a transplant recipient now on her second kidney transplant. Janette serves as a liaison to promote human life to others especially for children. She was a graduate of Concordia College in 1991 and received her Bachelor's Degree in Nursing. Her first job as a nurse was at Manila Doctors Hospital Oncology Department in 1992 under the supervision of Sister Rowena Rodil who became her mentor and spiritual guardian. During her early years in her Nursing career Janette was challenged by what she describes as a very tough life experience. According to Janette, dealing with sick cancer patients is “no joke” especially when it comes with children during their chemotherapy treatments as they scream in pain while clinging to their mothers for comfort. Since then her compassion for helping children undeniably became her source of strength and courage. As she continually supported various humanitarian organizations, she got involved with the NJ Pro Life movement and became the former Vice President of Ocean County Right to Life where “Fighting for the right of the unborn children” is the main mission of this movement. “One save at a time,” is a sort of a battle cry that this organization always fights with to say in front of abortion clinics. Janette is fearless in bringing along her children in the front lines of activism to show them that an unborn child’s life matters. Janette adds that the future of our nations is on the life of The Unborn. Janette emphasizes that her children at an early age are taught to serve as the protectorate of the unborn. The legacy she desires is that her children would value human life and that this belief would serve as their guiding light to continue the mission of this movement. Specialty: Nurse entrepreneur, health and wellness advocate, protector of the unborn, nephrology nurse.